Small Business Marketing – not simply what you say, but how you say it, when you reach people and what their overall impression of the business is. Without it, we are nothing! Virtually Sorted helps you portray a professional image with marketing that works like clockwork. We avoid techniques which leave you struggling to cope with sudden influx of work and then a dry period where your bills pile up. Our strategy is to create a steady stream of enquiries that convert easily into the best kind of business for you. As a former Ad-Exec, Caroline can show you the techniques the big companies use to get massive exposure for their brands. We get asked about insurance a lot, and it’s one of those things which you might not know a lot about if this is your first business. We put down a simple guide to the different kinds of insurance which work from home businesses use: Professional Indemnity: This covers you if you make a mistake … Read moreSmall Business Insurance – what do I need? If your New Year’s Resolution was to finally carve out some more time, you need to delegate more. But it’s hard to delegate more when your To Do List stretches to several pages and you know for sure a few items dropped over the bottom of it several months ago. Sounding familiar? Catch Caroline on BBC1’s The Apprentice! Eagle eyed viewers of BBC1’s The Apprentice might have spotted Caroline doing deals with Karen Brady’s team last night… Filmed during the summer, we were sworn to secrecy about this little televisual moment until broadcast. Virtual Assistants – Doing great deals! In this episode the apprentices need to sell merchandise and artworks of Scottish based … Read moreCatch Caroline on BBC1’s The Apprentice! Get your UK Christmas Planning Virtually Sorted! Christmas Dates for Virtually Sorted: Close 12pm Thursday 20th December and reopen 9am Monday 7th January Christmas is coming – Santa’s sleighbells are jingling in the background and there are a million and one things on your UK Christmas Planning List. Last posting dates Christmas 2018: Tues 18 Dec – 2nd class post Thurs 20 … Read moreGet your UK Christmas Planning Virtually Sorted! Should you be paying attention to GDPR if you only market to your own clients? YES! 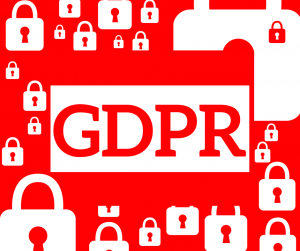 GDPR – the time is now! Reminder: GDPR becomes law today. All your marketing lists, client contact details, data storage, accounts, email storage… You need to make sure it’s all compliant. Checklist for GDPR compliance: Where was your data sourced from? Do you still need to store that data? Where is the data held? (Consider all personal data – accounts programmes, … Read moreGDPR – the time is now!